Are you looking for a midsize sedan that’s great for small families and solo drivers? The 2018 Honda Accord and 2018 Ford Fusion are attractive choices to drivers in Kamuela and Waoimea. When you look at the details, though, it becomes apparent that the Honda Accord is in a class of its own. Check out our Honda Accord vs. Ford Fusion comparison to see how the Accord wins out in terms of performance, fuel economy, and value. The Ford Fusion S gets a 2.5L four-cylinder engine, and the Honda Accord LX gets a 1.5L turbo inline-4—and there’s a notable output difference. The Accord’s turbo engine generates a standard 192 hp and torque to match. The Fusion’s engine, on the other hand, only creates 175 hp and 175 lb-ft of torque. 2018 Ford Fusion – The Fusion’s base engine manages a max EPA-estimated 21 mpg city/32 mpg highway rating. After three and five years of ownership, the Honda Accord retains 55% and 37% of its value, respectively. The Ford Fusion, however, doesn’t fare as well. After three years of ownership, it retains 40% of its value. After five years—just 27%. You can find the 2018 Honda Accord trims on sale right now near Kamuela and Waoimea at Big Island Honda. 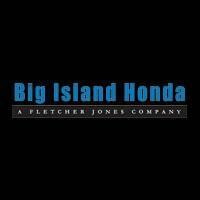 Schedule a test drive at our Hilo or Kailua-Kona location. We can’t wait to show you how the Accord compares to the Civic, or other out-of-brand competitors like the Toyota Camry! **MSRP excluding tax, license, registration, $890.00 destination charge and options. Dealers set own prices.